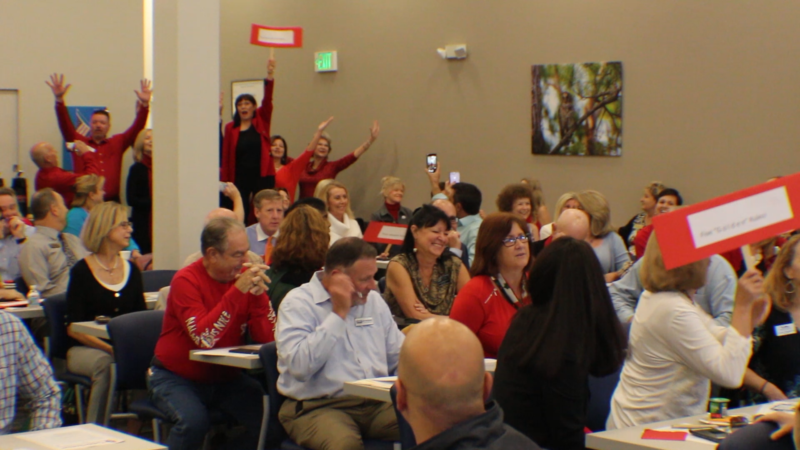 Continuing Ed DEAL of the Year! Hurry… this offer ends January 22nd! 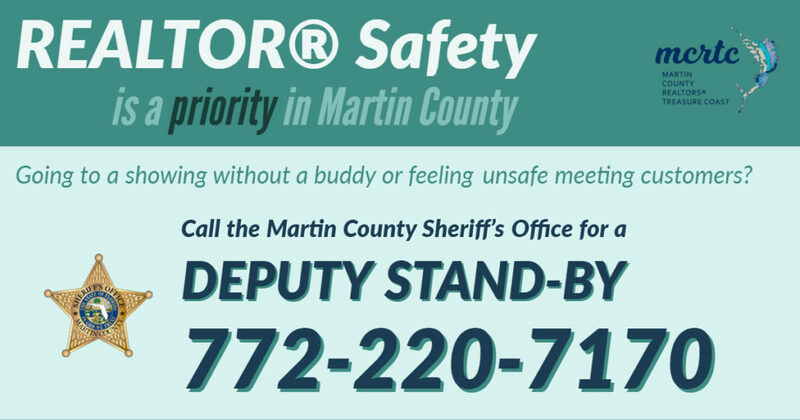 Did you know that the Martin County Sheriff’s Office (MCSO) will provide a deputy stand-by if requested ? If you are going on a showing by yourself and/or you feel unsafe, just call the number below and request a deputy standby or give the dispatcher the code “38R”. 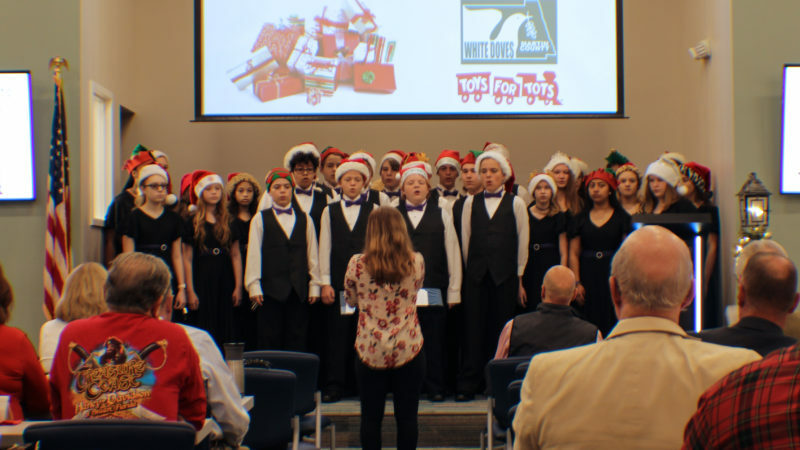 Martin County REALTORS® of the Treasure Coast (MCRTC) hosted its annual members’ holiday breakfast complete with a visit from Santa, and a mini-concert from the David L. Anderson Middle School choir. 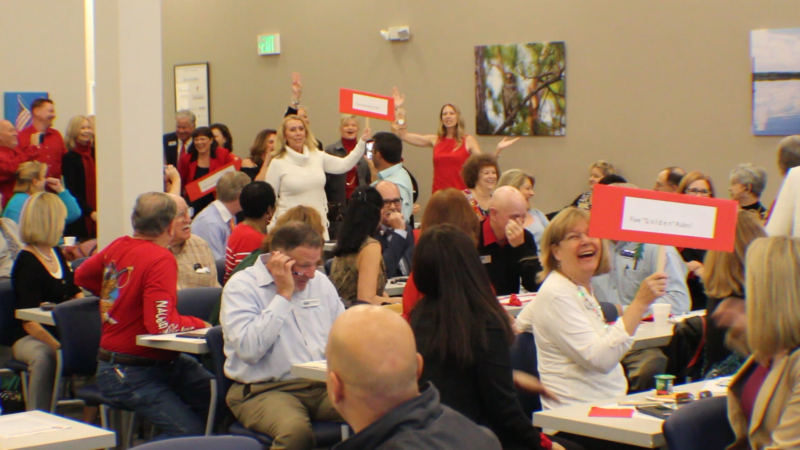 150+ members were in attendance to spread the holiday cheer! 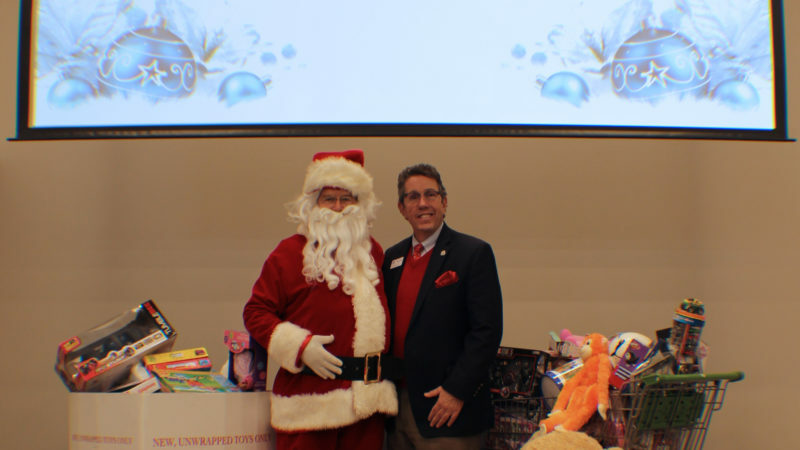 It was also the final day of MCRTC’s three-week long collection of toys and gifts to benefit Toys for Tots of Martin County. 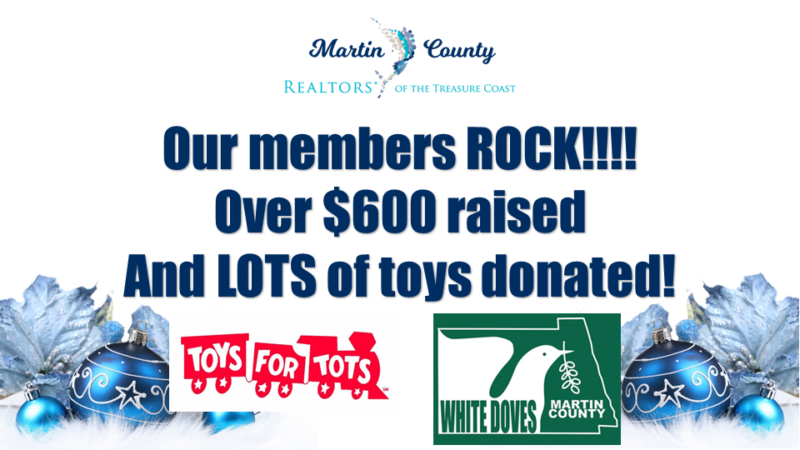 Members of MCRTC raised over $600 in cash and gift cards, as well as almost three shopping carts full of toys and gifts for needy children in Martin County to enjoy on Christmas morning. 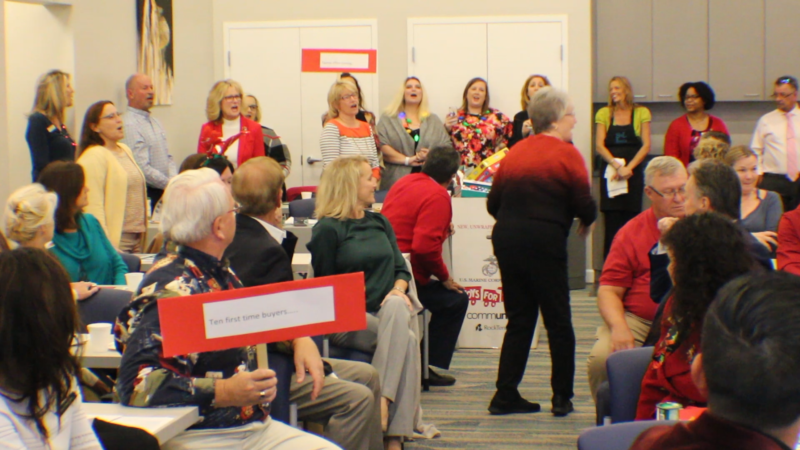 Finally, to wrap up the festivities, MCRTC members engaged in the annual tradition of singing “The Twelve REALTOR® Days of Christmas” which is their own version of a holiday favorite, but with a real estate twist! Everyone in attendance had a fabulous time and can’t wait to do it again next year! 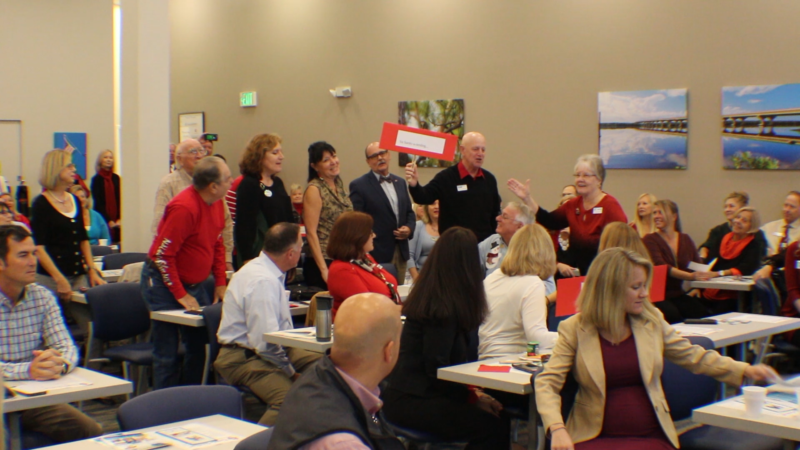 Members singing the "Twelve REALTOR Days of Christmas"
MCRTC Members: Please join us on Tuesday morning for our annual holiday breakfast! 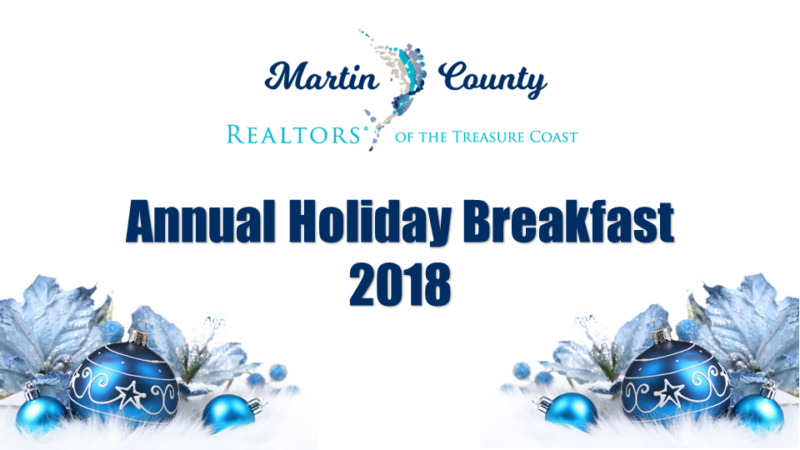 Delicious hot breakfast will be provided by our sponsors at Life Beautifier and The Real Estate Book of Martin County, Santa will be here to help us collect donations for Toys for Tots, and we’ll get to enjoy holiday music from the David L. Anderson Middle School concert choir. You won’t want to miss this! We hope to see you here! 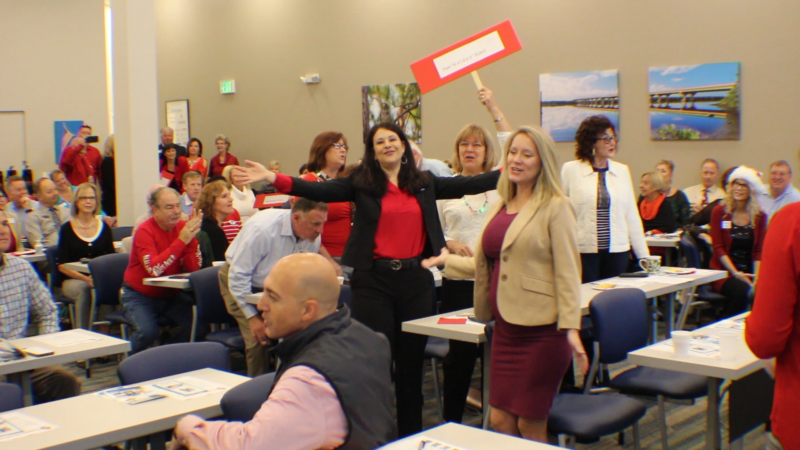 REALTORS® are required to take a Code of Ethics course once every two-year cycle. We are currently in the cycle which began January 1, 2017 and ends on December 31, 2018. Click here and login to check your account and see if this has been completed. 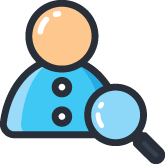 This is where you’ll want to look to see if your requirement has been fulfilled. 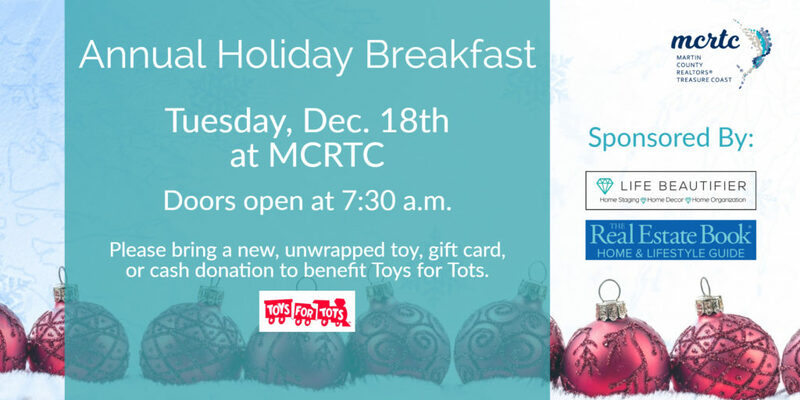 Register for and attend the Live Webinar at MCRTC on Thursday, December 6th from 1PM-4PM. (FREE CE for MCRTC Members) Click here to sign up now. Take it online through The CE Shop. You will receive CE credit and once the class is completed, MCRTC will receive a copy of your certificate to update our records. Click here to visit The CE Shop. Take it online through the National Association of REALTORS®. There is a free version which does not give CE credit but fulfills the NAR Code of Ethics requirement. 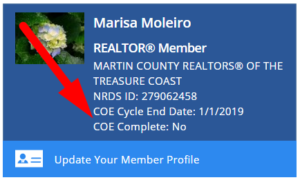 Click here to visit NAR.Realtor. 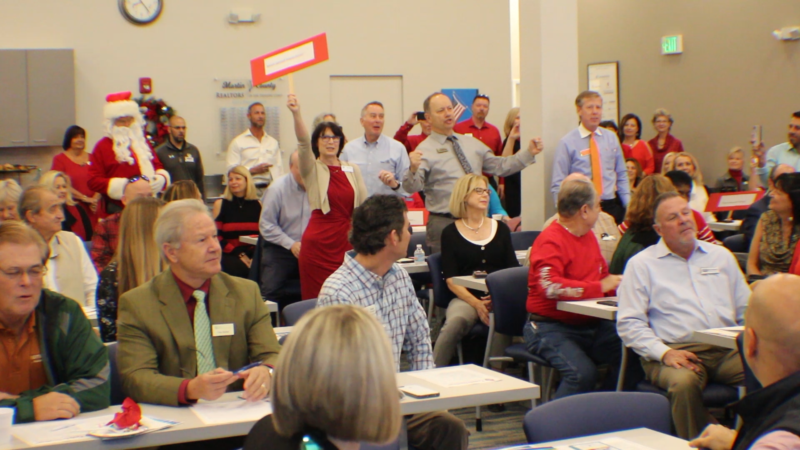 If you have any questions, contact Renee at renee@martincountyrealtors.org or 772-283-1748.